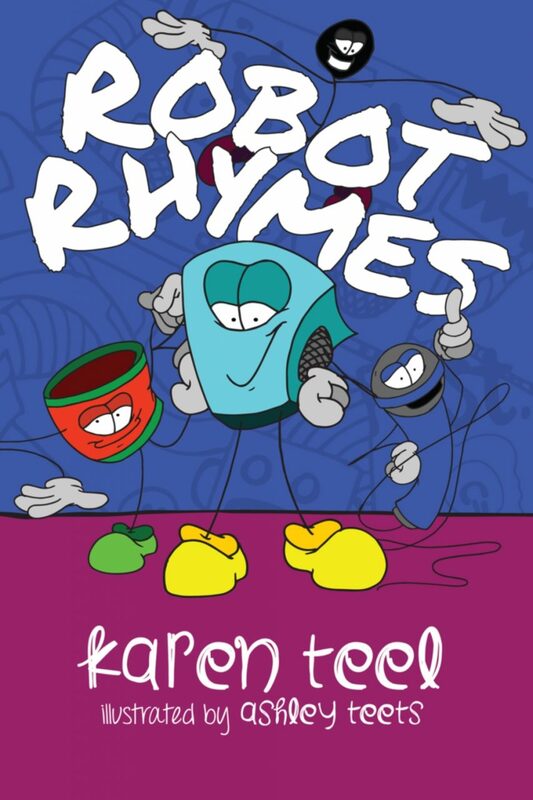 From hip hop music comes two energetic children’s books that will entertain and educate! From hip hop music comes two energetic children’s books that will entertain and educate! 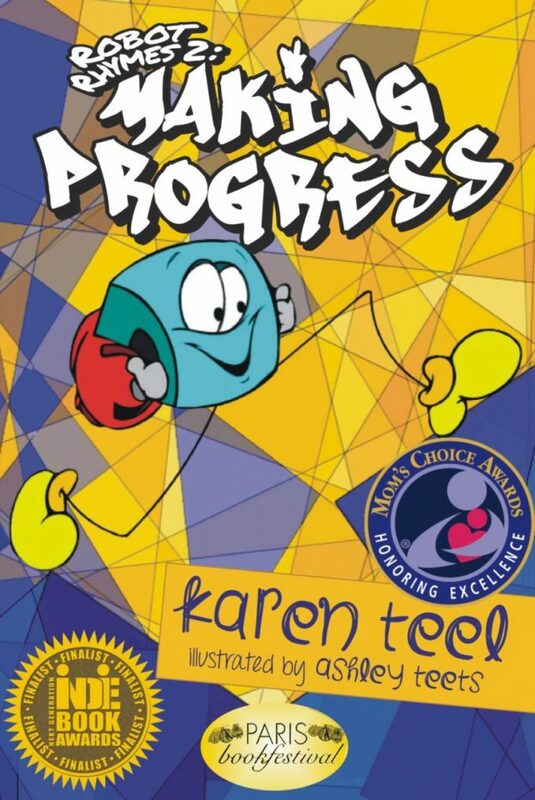 Award winning author, Karen Teel, narrates Robot Rhymes and Robot Rhymes 2: Making Progress on one CD. Snuggie, an animated boombox, takes you to Robot Ranch and allows your imagination to soar in Robot Rhymes. Included is a glossary of music terms so bring on Snuggie and the Funkbots! Robot Rhymes 2: Making Progress is a look into Snuggie’s childhood. Snuggie makes progress through life, overcoming adversity and reaching for the stars. Inspirational and motivational, also learn how to write your own hip hop songs! 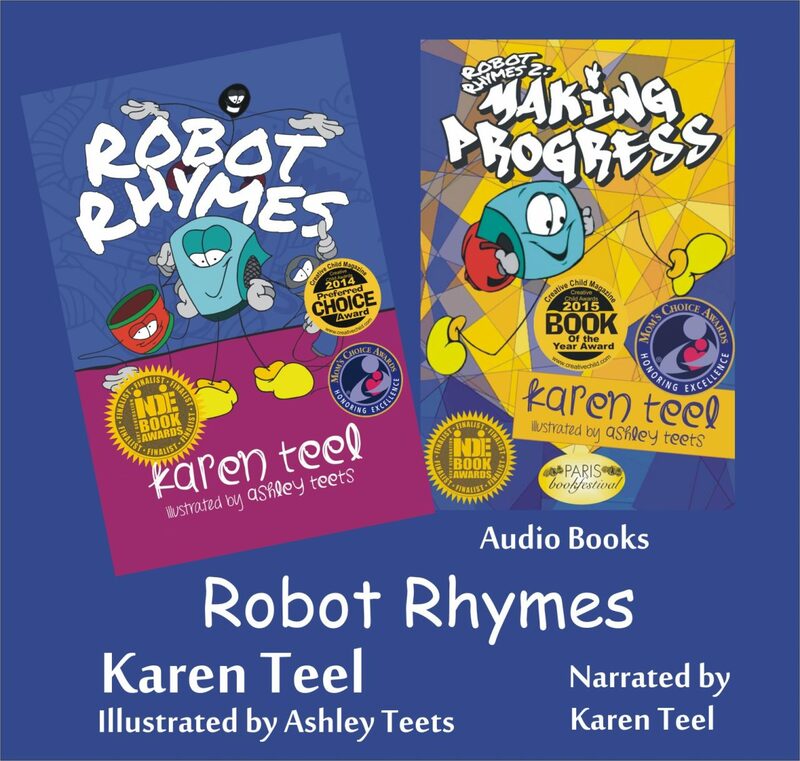 Karen Teel, award winning author, is a retired elementary school teacher and pays tribute to her late son, Sam Harshbarger through her Robot Rhymes series of children’s books. Compiling lyrics from hip hop rhymes performed by Sam, these books are a tribute to his musical legacy. Samuel Bridges Harshbarger (1980-2009), a lifelong West Virginian, studied at the University of Pittsburgh and the West Virginia University School of Journalism. While at WVU, he hosted a radio show for U92FM and became a regionally renowned hip hop artist, performing under the stage name of Meuwl. Karen Teel is a retired elementary school teacher, making her publishing debut with Robot Rhymes. Compiling lyrics from hip hop rhymes performed by her late son, Sam Harshbarger, she has created a tribute to his musical legacy. Karen lives with her husband in West Virginia.